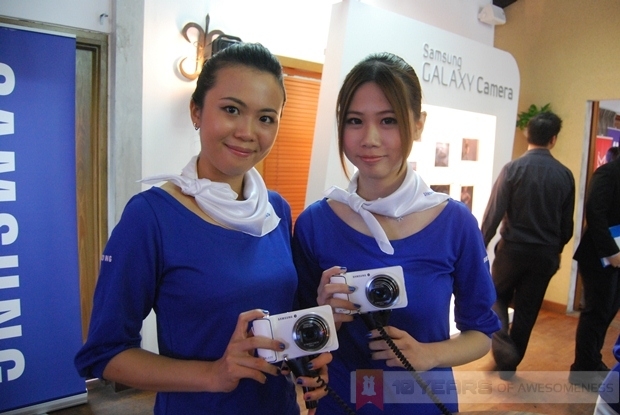 Samsung has just launched a revolutionary new digital camera at its local launch event today. Called the Galaxy Camera, this is the first Android-powered digital camera to feature both 3G and WiFi connectivity. With the Galaxy Camera, Samsung promises a new age of visual communication, with the Galaxy Camera’s combination of high performance photography with high-speed connectivity. Head on after the break to find out more about the Galaxy Camera. Featuring a super-bright 16.3MP, 23mm wide angle backside-illuminated CMOS sensor with an impressive 21x optical zoom, the Galaxy Camera also has an impressive 4.8-inch HD Super Clear Touch display with a pixel density of 308 ppi. This large display also allows users to not just capture and preview shots straight away, but also for a better editing experience right from the Galaxy Camera. In addition, there is a 1.4GHz quad-core processor in the Galaxy Camera powering the Android 4.1 Jelly Bean OS. This opens up a world of possibilities with the Galaxy Camera, with the 3G and WiFi connectivity, it becomes more than just a digital camera: in Samsung’s words, it is a Connected Camera. As an Android device, the Galaxy Camera has access to over 600000 Android apps, and yes, Samsung has confirmed that users can use the Galaxy Camera for VoIP and video call apps, in addition to chat apps such as WhatsApp. Inside this 300g device is a 1650mAh battery that allows the Galaxy Camera to capture up to 340 photos. There’s also 8GB of internal memory as well as a microSD card slot. And of course, there is a microSIM card slot that enables all the 3G goodness. Further, this digital camera has 15 capture modes, such as Best Photo, Best Face, Landscape, Macro and Panorama. There’s also an auto upload option as well as a Share Shot option, which uploads selected shots immediately to your social network of choice. Also, there’s some cool motion as well as voice control integrated into the Galaxy Camera, in addition to all of Google’s suite of Android services. 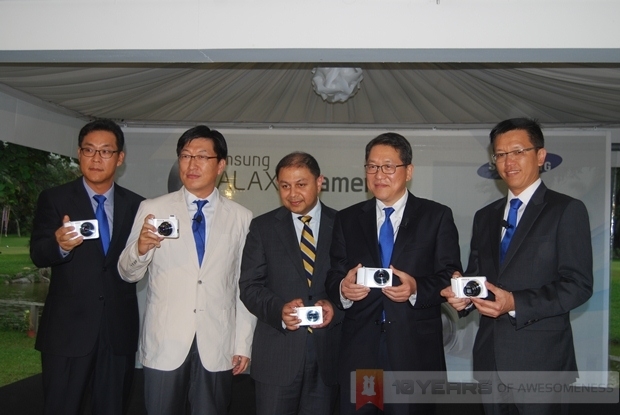 The Samsung Galaxy Camera will be available at Samsung stores starting from tomorrow at a price of RM1899. The first 5000 buyers tomorrow will also receive a Hotlink Broadband SIM Pack. In addition, those who buy the Galaxy Camera with a Hotlink Prepaid Broadband SIM Pack will receive 2GB of data, 25GB of Loker personal cloud storage, and also one-year SIM validity. 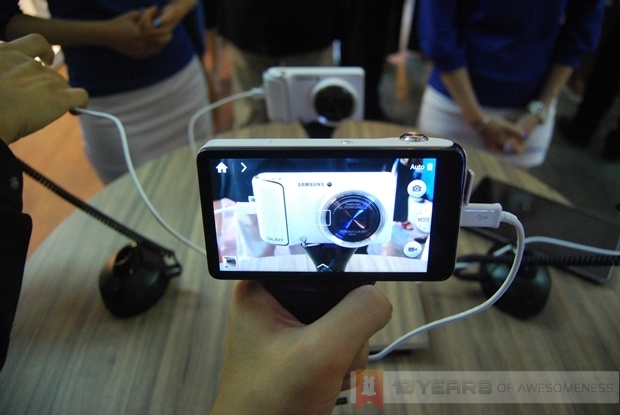 Check out our hands-on with the Samsung Galaxy Camera, coming up soon!